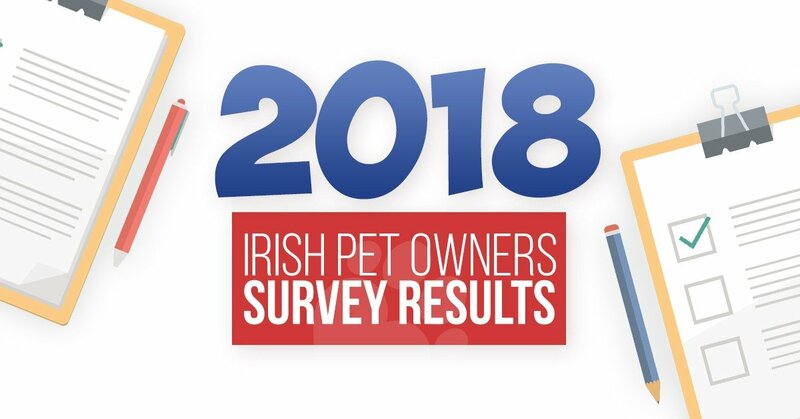 Ireland is a nation of pet lovers and our 2018 Pet Owners Survey showed just how much we love our pets and the lengths we go to to make sure they are well cared for and feel part of the family. 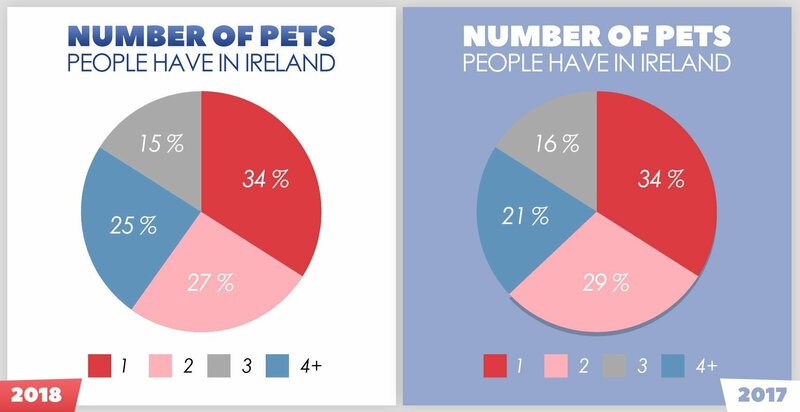 1500 Cat and Dog Owners in Ireland were surveyed* as part of our annual survey, answering questions about the number of pets they own, what they spend on their pets, whether they let them sleep in the bed and what they truly think about Pet Insurance. We also asked if they preferred pets to people, if they would have a wedding for their pets and if they make their pets move off the sofa for human visitors. Question 1 – How Many Pets Do You Have? We know that people love their pets and our survey showed that 25% of those surveyed had 4 pets or more, a quarter of those surveyed, compared to 21% last year. Last year we predicted that we would see the number of multi-pet households increase, with a significant % increase in households with 4 pets or more. We suspect that this trend will continue. Question 2 – Do You Let Your Pets Sleep In Your Bed? Whether pets should be allowed in the bed is a topic that people usually feel quite strongly about, with some loving the idea of snuggling up with their pets and others completely against it. 64% of respondents allow their pets to sleep in their bed. 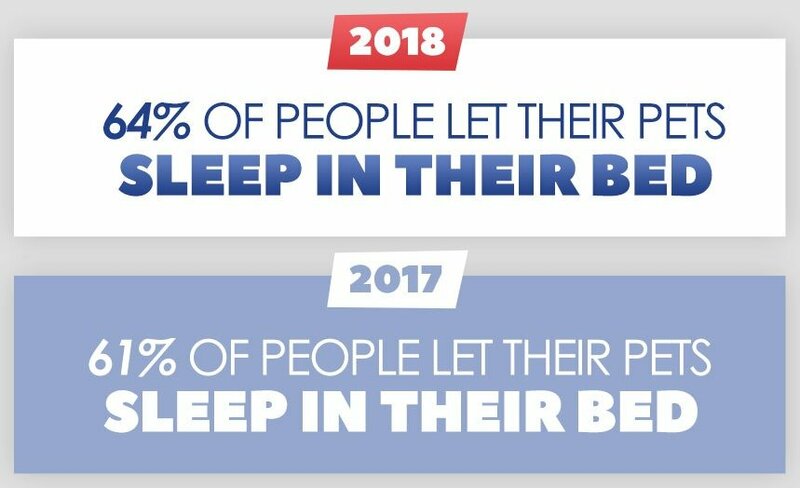 Last year we predicted that there wouldn’t be an increase in the % of people allowing pets to sleep in the bed. We saw a 3% increase, however we don’t expect this to increase much over the coming year. Question 3 – What Type Of Food Do You Feed Your Pets? 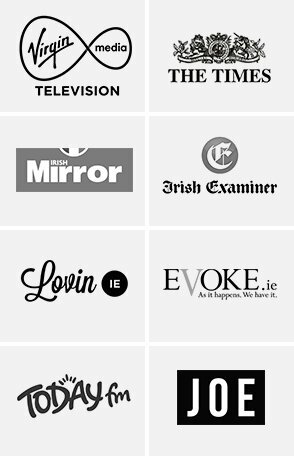 Ireland offers a huge range of pet foods and for a pet owner is can be a daunting task deciding what to feed your cat or dog. With many respondents using a mix of food types, Pet Store Brands were the clear favourite amongst respondents with 43% of respondents stating they choose a Pet Store Brand over other options. Last year we predicted a rise in people opting for raw food diets and homemade food diets for their pets. There was a very small % increase in the numbers suggesting that people prefer ready made food for their dog over homemade options. Question 4 – Do You Have Pet Insurance? 14% also cited the reason as cover not being available, this is often related to the breed of dog or the age of the pet. In 2017 we predicted that there wouldn’t be much of an increase in people taking out pet insurance due to the cost and the increasing number of multi pet households. We envisage this will be the same next year, unless insurance companies can offer something affordable for pet owners with more than one pet. Question 5 – If You Do Have Pet Insurance, Why Do You Have it? 69% of Pet Owners said they take out Pet Insurance for peace of mind. With 20% citing they take it out because they can’t afford large vets bills. By having Pet Insurance you have the Peace of Mind that you only need to worry about covering your policy excess. Peace of mind is always going to be a leading factor in getting Pet Insurance for pet owners. We don’t anticipate that changing. However people not being able to afford large vets bills we envisage will increase. Question 6 – If You Do Have Pet Insurance, Who Is It With? Of the 1500 Pet Owners surveyed that had Pet Insurance 61% of them had insurance with Allianz. Last year we predicted that Allianz would remain at the forefront of the Industry. 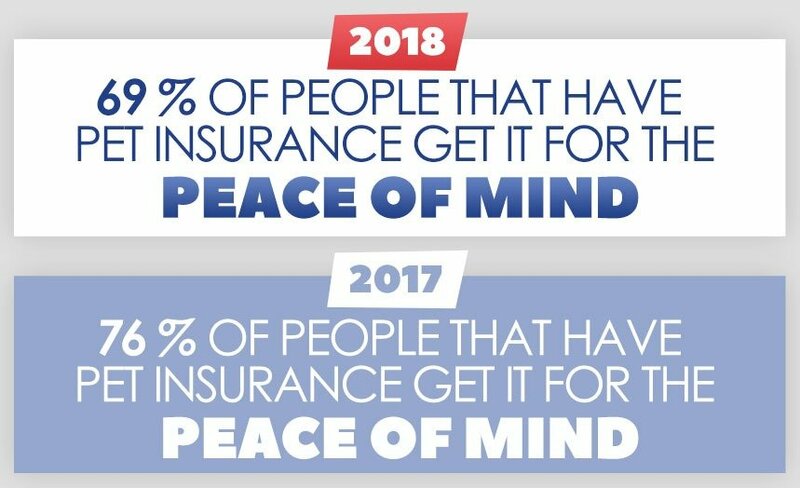 The only thing we see changing this is an Insurance company offering better deals for multi-pet households, older dogs and certain breeds. Question 7 – How Much Does Your Pet Insurance Cost (Per Pet) each month? 48% of respondents are paying between 11-20 euro (per pet) for pet insurance. While this seems an affordable amount for the cover on offer, when respondents have more than one pet the cost per year can become very high for multi-pet households. Last year we didn’t anticipate any decrease in the per pet rate of pet insurance and we don’t see this changing in 2019. We would love to see some group policies introduced for multi-pet households, with discounts being given to those pets coming from rescues. Question 8 – Do You Take Your Pets To The Vets Each Year For Their Annual Vaccinations? 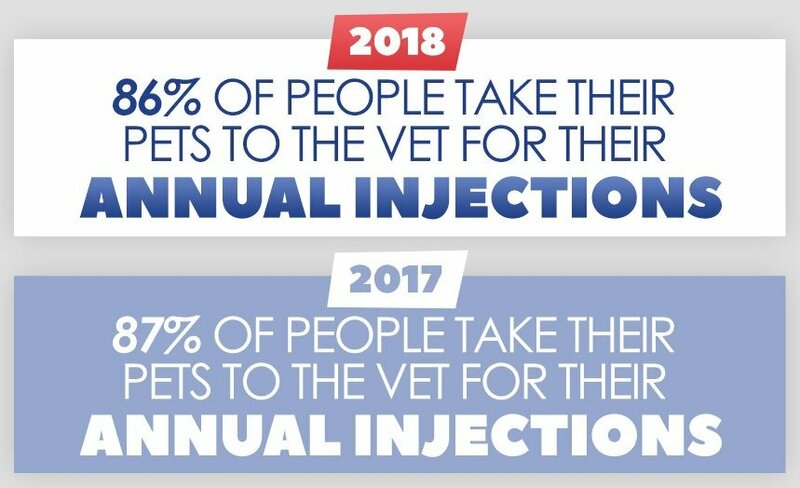 Respondents are committed to the ongoing health care of their pets, with 86% of them taking their pets to the vet for their annual vaccinations. Annual vaccinations are a requirement for Pet Insurance and those 27% of people who have pet insurance will have no choice but to take their pets for vaccinations. We don’t see this number changing much in the coming year. It’s already a very high % of people who took the survey. Question 9 – On Average How much Do You Spend (Per Pet) Each MONTH On Treats? 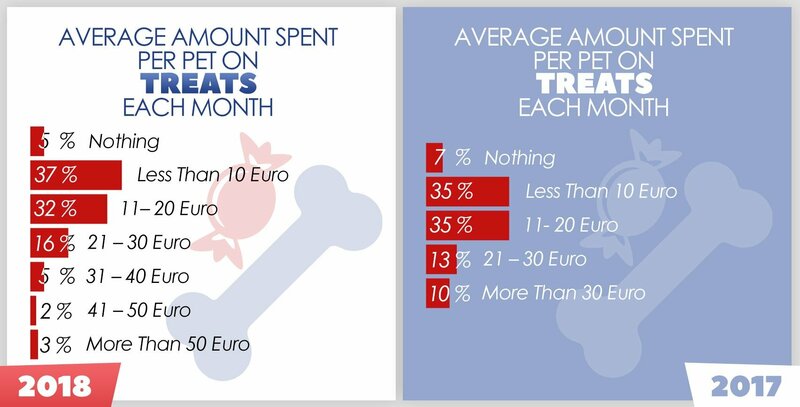 10% of respondents are spending more than 30 euro on treats per month. We put this down to monthly treat services for dog and also for more healthy natural treats on the market. Last year we predicted that treat spend wouldn’t change that much. 20 euro is a significant amount to spend on treats per month with the number of special offers that are available in pet stores and online. Question 10 – On Average How much Do You Spend (Per Pet) Each MONTH On Toys? 21% of respondents are not spending anything on toys for their pets. Some pets don’t like toys, others make their own and many toys are so long lasting now that you don’t need to replace them very often. 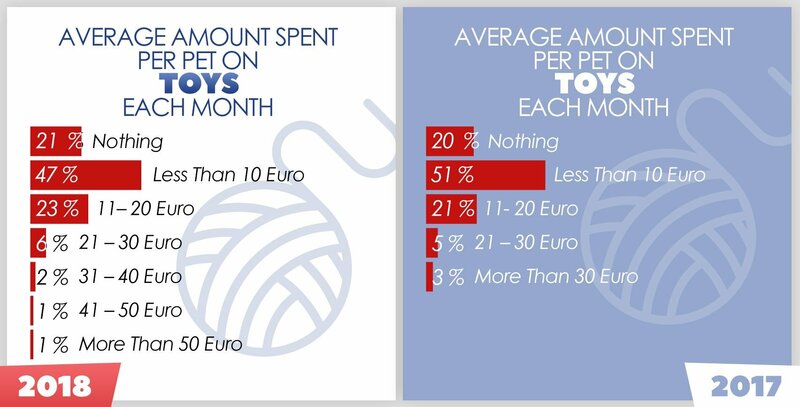 47% of people spend less than 10 euro (compared to 51% last year) which is likely to be 1-2 good quality toys each month. The 4% of respondents spending more than 30 euro a month on toys likely have very active (or destructive) pets that need robust, and therefore costly, toys from brands such as Kong. Last year we said we didn’t anticipate a significant shift in spending on toys as more durable and long lasting toys come onto the market. We don’t see this changing over the coming year. Question 11 – How much Do You Spend (Per Pet) Each YEAR On Clothes and Accessories (Collars, Leads etc)? 55% of people are spending 1-50 euro per year on accessories which is the same as last year. 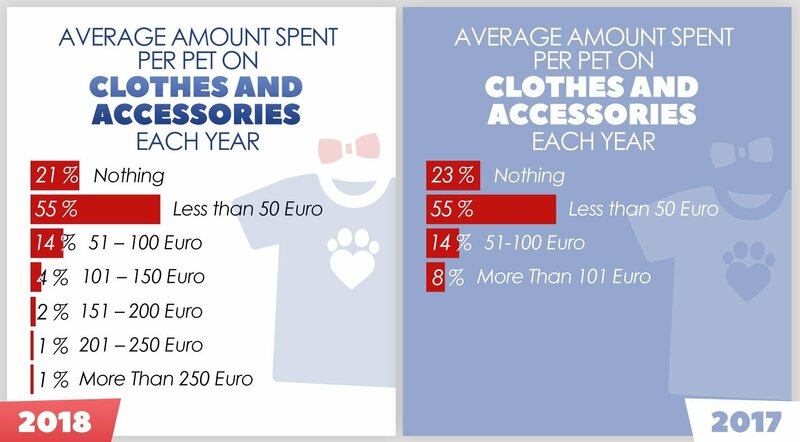 The 8% of people spending more than 101 euro per year are likely purchasing clothing for their pets – jumpers, t-shirts etc, as these can be more costly and most people would buy these items regularly. Last year we predicted people would spend more on clothing and accessories, where as the results stayed the same. It looks like this will stay the same in the coming year. Question 12 – How Much Do You Spend on Your Pets Birthday? 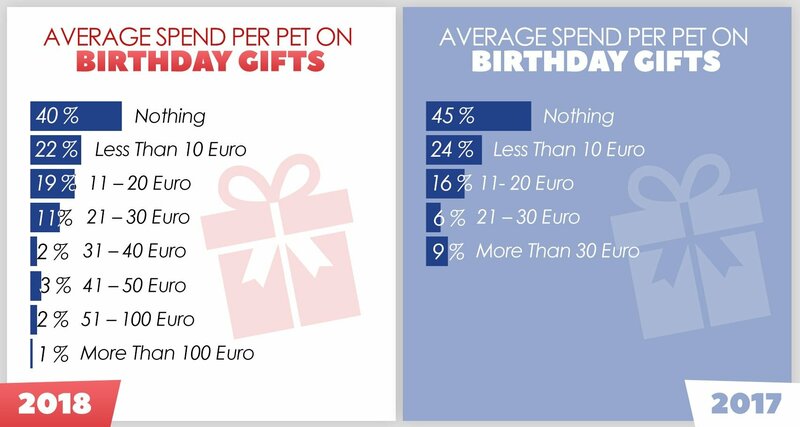 40% of respondents choose not to spend anything on their pets on their birthday. Last year we predicted that as more pet gifts, cakes and treats become available for pets we expect the spend per pet to increase on their birthday. We definitely see the spend on pets birthday increasing. Question 13 – Have You Ever Had A Birthday Party For Your Pet? Who doesn’t love a good party! Clearly 23% of pet owners feel the same, with them hosting parties for their pets. An increase of 2% on last year. 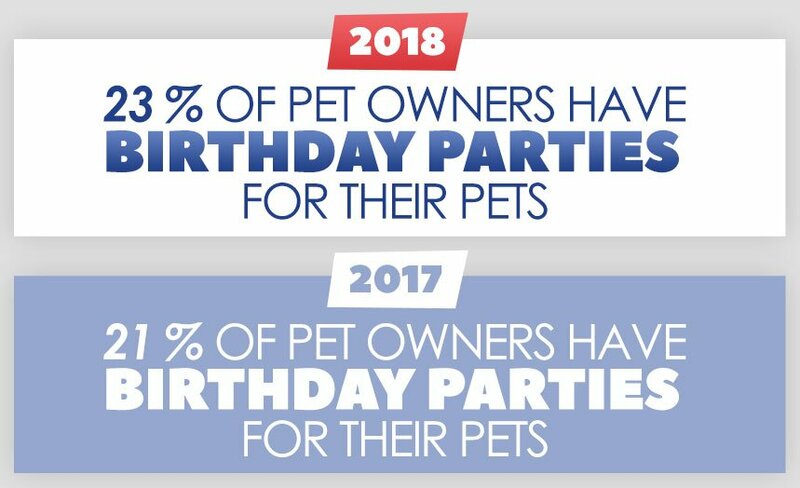 Last year we predicted that birthday parties for pets would be increasingly popular as pet owners celebrate their birthday like they would any other member of the family. This year we don’t see that changing! Question 14 – How Much Do You Spend on Your Pet At Christmas? 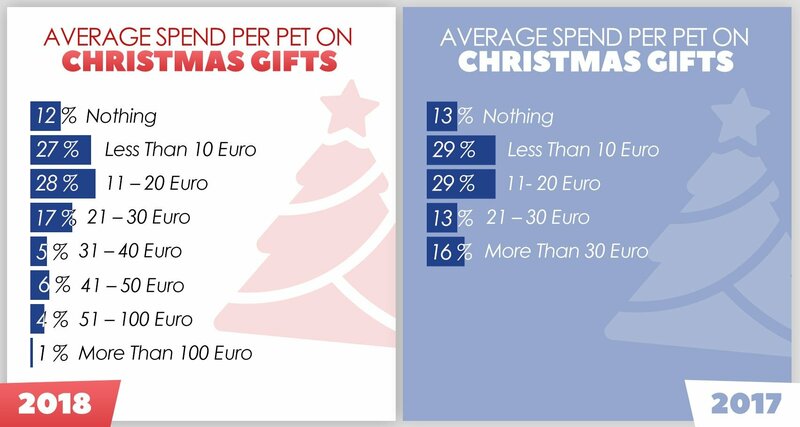 55% of respondents spend between 1- 20 euro at Christmas on their pets with 16% spending more than 30 euro on each pet and 1% spending over 100 euro. Overall 88% of respondents are purchasing their pet a gift at Christmas, which is more than the 60% of respondents purchasing a gift for their pet on their birthday. Last year we predicted an increase in the amount spent at Christmas as more Christmas themed items become available for pets, however spending has stayed pretty much the same. Based on this we don’t predict much of a change – although I am sure all pets get lots of love and cuddles at Christmas which are free! Question 15 (New Question) – Do You Prefer Pets To People? 88% of respondents said they prefer pet to people. I can’t see this changing any time soon among Pet Owners! Question 16 (New Question) – If friends visit your home do you make your pet(s) get off the sofa? 69% of respondents said they would NOT move their pet so that a human visitor could sit down on the sofa. We don’t see this changing at all! Question 17 (New Question) – Would you ever consider having a wedding for your pet(s)? 60 people (4%) of those surveyed said they would have a wedding for their pets. Will this take off as the norm for Pet Owners? We’re not sure. It’s certainly a fun idea and something all the family can get involved in. Lots of customers have their dogs at their wedding, so perhaps double weddings could be on the cards for 2019. Question 18 (New Question) – Do you have a social media account for your pet(s)? We spend numerous hours on social media ourselves, posting pictures of our days out, family and friends. So it only makes sense that pets are getting in on the action. 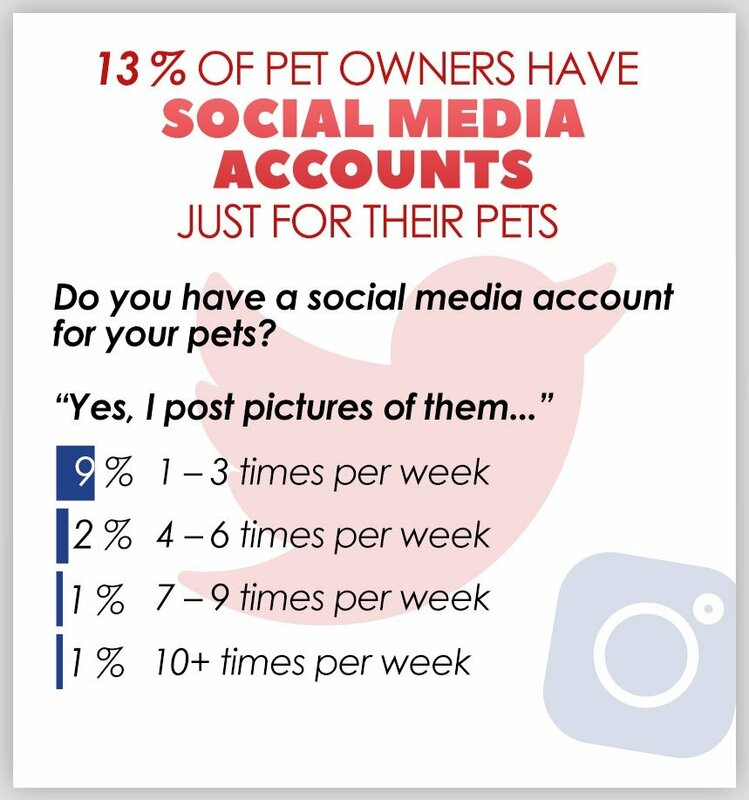 Of the 13% of people who have social media accounts for their pets, many opened them so they didn’t annoy their friends with constant posting of pictures of their pets. Independent Survey carried out by Pet Sitters Ireland. 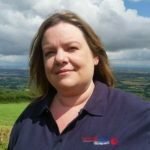 1500 Pet Owners surveyed in Ireland. Results may be reproduced with credit given to Pet Sitters Ireland.